Can subscription economy help us build a sustainable world? The Industrial Age is dead. We are witnessing the biggest paradigm shift happening from the wasteful, hierarchy-driven, industrial model towards a new paradigm, driven by digital technologies and empowered by networks. These are challenging times. We are waking up to the biggest challenge of our times: How do we re-boot the operating system of our civilization ? We have already crossed nine planetary boundaries that humanity needs to respect and maintain in order to avoid catastrophic environmental changes. Subscriptions are everywhere. Be it the online services we consume, or the computing power enterprises are embracing fervently, we are witnessing a disruptive shift in the way businesses operate. “The business model of the 21st century is a fundamentally different business model. The business model of the 20th century was built around manufacturing...But Over the last 30 years, we’ve been moving away from a manufacturing economy to a services economy. Away from an economy based on tangible goods, to an economy based on intangible ideas and experiences." Why is this happening now?? "Six decades into the computer revolution, four decades since the invention of the microprocessor, and two decades into the rise of the modern Internet, all of the technology required to transform industries through software finally works and can be widely delivered at global scale. " Let me come to the most exciting part of this whole phenomenon. Technologists/Digital Entrepreneurs/Evangelists aren't the the only ones who are talking about services economy. Ecologists have also been talking on similar lines for several decades. During my first ever visit to an organic farm, one of the profoundly simple lessons I learned was: Waste equals food. Nothing is thrown away as a waste. Natural systems operate by this principle across the web of life. Linear Industrial systems, with its planned obsolescence, stand antithetical to cyclical, natural systems. How do we redesign our everyday products so that it abides by nature's principles? Dr. Michael Braungart and Justus Engelfried proposed "Intelligent Product System[pdf]" in 1992, which eliminates waste altogether across the product's entire life-cycle. Products-of-service, one among the three categories of products the authors explain in their paper, are goods which are provided as services. "What we want from these products is not ownership per se, but the service the product provides: transportation from our car, cold beer from the refrigerator, news or entertainment from our television. Under Intelligent Products system, These product would not be sold, but would be licensed to the purchaser, with the ownership retained to the manufacturer"
What would the manufacturer do after the product is taken back once it reaches the limits of its utility? The old products, broken down into its essential components, would be utilized in the manufacture of new products, thus eliminating the waste entirely from the system. Let us pause for a while to see how we can connect these seemingly divergent dots together. When we are talking about subscription economy, we are talking about utility services that are delivered through the network. As Simon Wardley puts it, they are all about volume operations, standardised good enough components and commodity provision. With the advent of subscription billing model, it is now financially viable to offer any product as a service through recurring subscription revenues. It is also quite possible to extend this further by embedding Intelligent Product system design into the products which are offered as a service. For example, lead [found in circuit boards] and copper which are used in cellphones can be salvaged and used to reassemble another instrument. These options for physical handsets can also clubbed along with subscription options for the ecologically sensitive customer. If you think about it, it seems intuitive as Utility Computing allows large scale providers to provide resources f0r several applications, balancing the supply and demand more efficiently than if it were to provide resources on an individual basis. However, there is a caveat. Enter Jevon's Paradox. What he said for fuel holds equally true for Computational power as well. Although consumption rate per unit may reduce, there is a strong possibility that the units of consumption would increase quite significantly. These are inchoate thoughts. I would be exploring this further. I am quite excited to see how technology is interacting with ecology, both intellectually ( be it the study of technology ecosystem or the evolutionary approach to technology) and also in actuality( through green IT, for instance). It would be interesting to see how this confluence would shape up once they begin to feed off each others' energies. What are your thoughts? Would love to hear them. Please do point out any other work which is done around these. I really liked the book reference towards the end. that shows that you are approaching this topic with awareness. I also have certain inchoate thoughts since you introduced me this old but secret world of IPS. human phych is struck to creating the world of unique identity [though only superficially]. the philosophy that emerged out of the whole hippie culture, that everyone wants to be identified by this own unique style and thoughts. this sense of owning something is embedded in our minds. hence, i think renting a car business has never picked up. its quite safe to extrapolate this to IPS also. is it? till the time we shed this ego thing and take a overview of the whole situation IPS will still be 'ahead of its age'. 2. i think this system is still a state of compromise. no doubt that it will reduce the waste. but it will create another vicious cycle enabled by technology. if this system is adopted, the requirements to fufil the subscriptions would increase and hence the production and waste. connection with the IT industry is great, i think. will keep a watch as you write more. http://cloud-computing-economics.com/ppts-pdfs-papers-tutorials/leveraging-the-cloud-for-green-it/ This post which quotes a paper on Green IT clearly proves Jevon's paradox which I have mentioned above! this concept would challenge the whole requirements for a lot of capital before doing anything.. one cud build & reduce it on the way. infact this is how it all started, still in villages, example a blacksmith never works for villagers on "yearly" contract. They just keep working as & when required, with increase in demand more people join the profession and leave it. The nomads never had "one target market" and "one product"; just make & sell it as you go along; never compromise on value.. and that's what in a way i believe subscription economy also hints. Siddharth, As we had earlier discussed, if you remember, we are breaking away from the Age of Pre-requisites( Remember this word??). You are right. This is how we started and began doing things. Quest for certainty was a major driving force. One of the reasons nomads began to settle down at river banks, because they wanted the certainty of fertile land, which ensured that they got their food supply through agriculture in these fertile lands. Now, having broken down the barriers of Capital, we are back to rebuilding where we started and got drifted along the way! Thank you for your comments! I am also following the ecologist movement (especially in France). the link between Cloud Technologies and Environment applications. significant contributions in the community. Thanks Paolo. 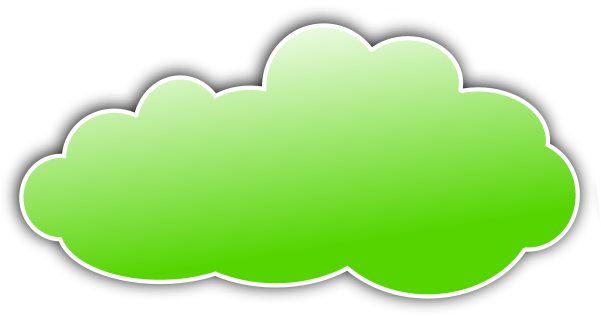 Most of the discusions surrounding ecological challenges and cloud are often mis-led by Cloud's marketing messages. Do post links if you come across similar works. Would love to have discussions around these. I should be revising some of these points as well with my current understanding. Thank you for dropping by and sharing your comments. I really appreciate that.